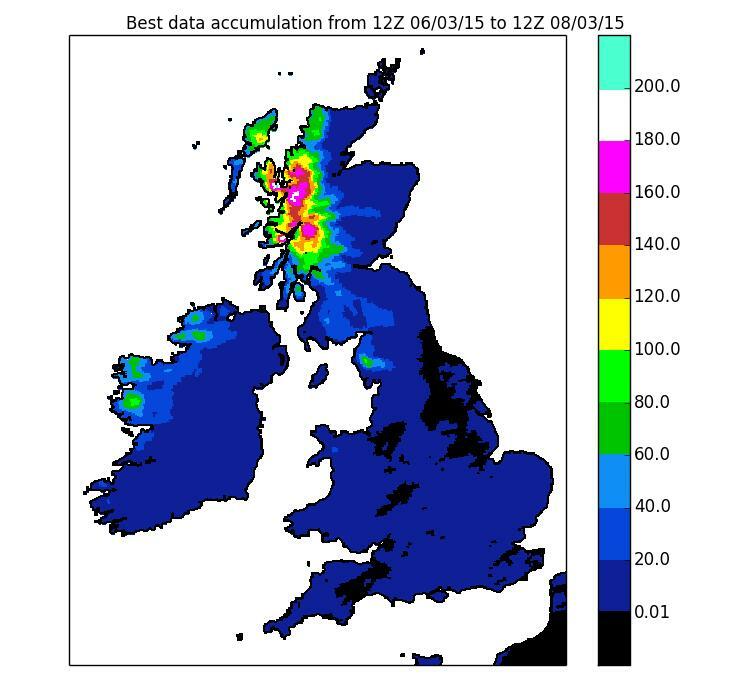 Following the West Highland heavy rainfall event of last October the forecasting service recently had to again respond to a forecast of potentially extreme rainfall in a similar area over the past few days. The rainfall event was well forecast with a lead time of several days, with the Met Office deterministic forecast giving totals of around 200mm in two days in some areas, the forecast staying consistent from day to day. The event proved to be a good test of the Grid-to-Grid (G2G) model, with additional factors such as snow melt and the influence of lochs and reservoirs to be taken into account. Grid-to-Grid indicated widespread very high flows in the north west, which led to a medium flood risk (significant impacts likely) indication on the Flood Guidance Statement. The forecasts of peak flow for selected sites in the main area of concern are given below, along with the actual gauged peak flows. The forecast hydrographs for Camisky on the River Lochy are also shown. G2G forecasts for the peak of 7 or 8/3/15 run at 0730 each day shown. Gauged flows are unverified at present. The rainfall forecasts proved to be very reliable, with a number of gauges reporting more than 100mm and in some cases up to 200mm over the two day event. The consistency in the rainfall forecast led to consistency in the G2G forecasts. Uncertainty in both snowmelt (modelled within G2G) and the action of lochs and reservoirs (not explicitly modelled) meant that we erred on the side of caution, and estimated flood risk to be medium rather than low, given that we were seeing the highest flows ever recorded by G2G at some sites. Flows in the Easter Ross and Great Glen area proved to be among the first or second highest in records of around 40 years. Grid-to-Grid forecasts turned out to be slightly overestimated, but the modelled areal extent of the highest flows and the impacts, was very accurate. Impacts were widespread though relatively low level. These included several road closures and extensive flooding of agricultural land over a wide area, isolated property flooding, damage to the Caledonian Canal and a caravan park that had to be evacuated. 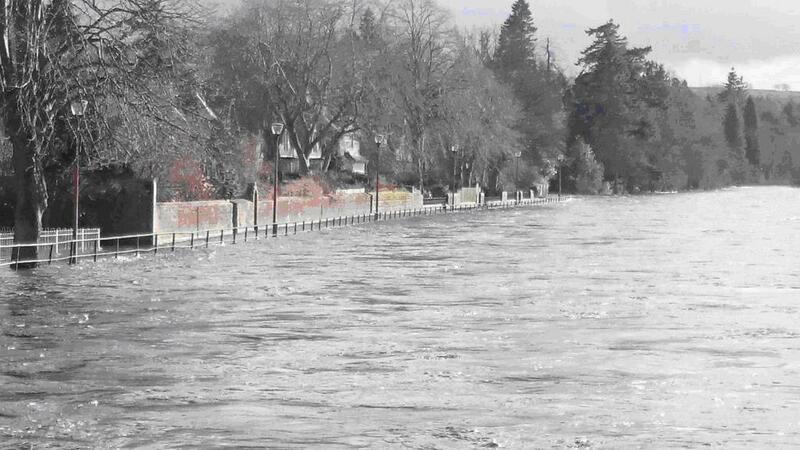 The River Ness was out of bank in Inverness, resulting in some disruption to a sporting event. Higher confidence in the snow melt element is needed, which we hope to address through a study over the coming year. Incorporating better reservoir and loch operation into Grid-to-Grid is also clearly something that should be investigated in future. This entry was posted in Flood, Forecasting, G2G, Risk communication. Bookmark the permalink.